Doyle LaMar Munson of Warsaw, Indiana passed away at 9:50 a.m. on Monday, January 21, 2019 at Visiting Nurse & Hospice Home in Fort Wayne, Indiana at the age of 85. He was born on June 16, 1933 in Bourbon, Indiana to Dorothy H. (Holderman) Munson and Harry A. Munson. On June 21, 1957 he was married to Elaine Ann (Goodman) Munson, who survives. Doyle was a 1951 graduate of Claypool High School in Claypool, Indiana. He was drafted into the U.S. Army and served during the Korean War from June 9, 1953 – May 8, 1955. He was never afraid of a hard day’s work, he worked the family farm raising grain and livestock, was a member of the Kosciusko County Pork Producers Association, was the past sexton of Pleasant Grove Cemetery in Warsaw, worked at Munson’s Car Dealership, and was a substitute driver for Warsaw Community Schools. Doyle was a man that wore many hats. 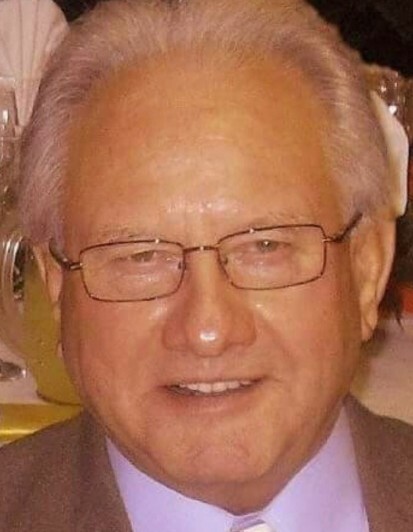 He was a charter member of Riverwood Ranch Home for Boys, and a charter member of Calvary Tabernacle of Winona Lake where he served as a church trustee and board member. He enjoyed being a Sunday School Superintendent for 50 years and driving the church bus. He was also the orchestra director, and played the sax. As an American Veteran he was honored to have been able go on an Honor Flight to Washington D.C. Doyle will be forever loved and dearly missed by his family and countless friends. He will be lovingly remembered by his wife of 61 years, Elaine Ann Munson (Warsaw, Indiana); two sons: Gary (Dana) Munson (Warsaw, Indiana); Todd (Brenda) Munson (Ashland, Kentucky); six grandchildren: Kyle, Dara, Darci, Seaton, Kim and Haleigh; one foster-grandchild: Heather; three great-grandchildren: Alexander, Anna Laúren, Evaya; one step-great-grandson: Daniel Matthews; and two foster-great-grandchildren: Lynnlee and Damien. Also surviving are three brothers: Loren (Phyllis) Munson (Claypool, Indiana); Max Munson (Warsaw, Indiana); David (Margaret) Munson (Claypool, Indiana); and his sister: Arlene Ryan (Syracuse, Indiana). He was preceded in death by his parents. Visitation will be held on Thursday, January 24, 2019 from 3:00 – 7:00 p.m. at Calvary Tabernacle of Winona Lake, 1300 Wooster Road, Winona Lake, Indiana. His funeral service will be conducted at 11:00 a.m. on Friday, January 25, 2019 at Calvary Tabernacle of Winona Lake and officiated by Pastor Rich Maron and Pastor Todd Munson. Burial will follow with a graveside service at Pleasant Grove Cemetery, Warsaw, Indiana with military rites conducted by active members of the Army Honor Guard, American Legion Post #49 and V.F.W. #1126 both of Warsaw. Arrangements were entrusted to Redpath-Fruth Funeral Home, 225 Argonne Road, Warsaw, Indiana. Memorial donations may be designated to Calvary Tabernacle of Winona Lake, 1300 Wooster Road, Winona Lake, Indiana 46590 and would be appreciated by the family.